Anyone can send you a friend request on Facebook by default, which can be beneficial when you are trying to expand your business network. You can modify this option in your privacy settings, but in the meantime, you can decide who you want to accept requests from and delete those that you don't want to accept. When you delete a request, Facebook also provides an option to prevent a user from sending friend requests in the future if you do not know the person outside of Facebook. Log in to your Facebook account, click the "Friend Requests" icon in the upper-left corner, and then click "See All." Click "Delete Request" next to the name of the person from whom you want to stop receiving friend requests. Click "No" on the message asking whether you know the person outside of Facebook. This person will no longer be able to send you any friend requests. 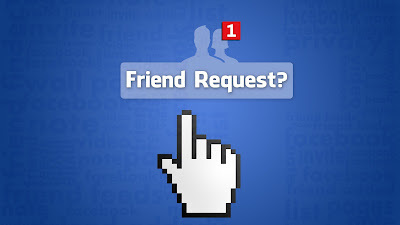 To prevent unknown users from sending you friend requests, click the "Friend Requests" icon and select "Settings." Choose an option from the Who Can Send You Friend Requests list, and then click "Done."